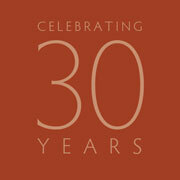 During 2012, The Carter Center celebrates three decades of waging peace, fighting disease, and building hope. This is the first in a series of anniversary features highlighting the Center's global impact since its founding. 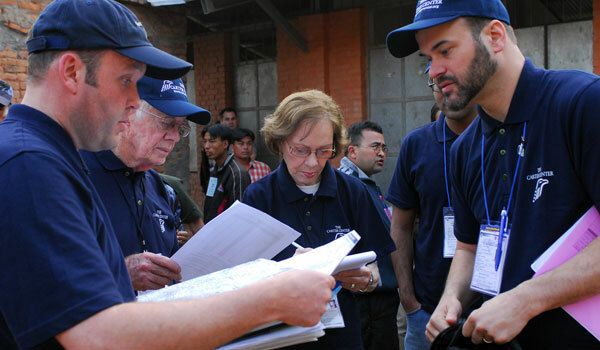 The Carter Center has pioneered the field of election observation, monitoring 89 elections in Africa, Latin America, and Asia since 1989 to help countries in political transition fulfill democratic aspirations. "The growing global movement toward democracy brought with it a demand for the presence of independent election observers. 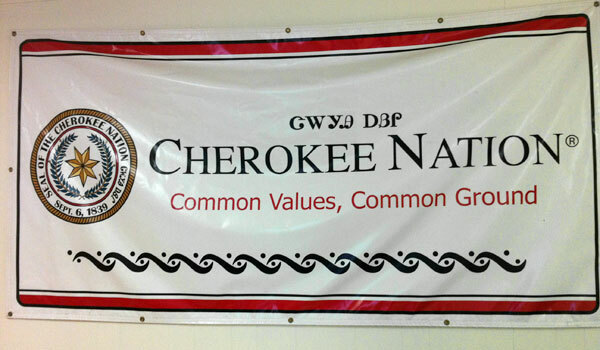 Over time, the Center has received more and more invitations to assist as nations take steps toward holding genuinely democratic elections" said Democracy Program Director David Carroll. 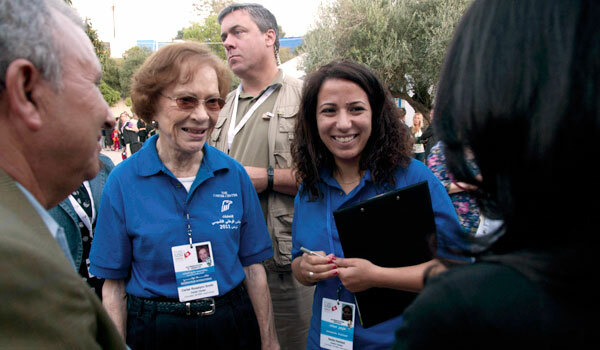 "With more than two decades of election observation missions, the Center has developed a solid record of expertise and impartiality. The assessments of Carter Center observers play an increasingly important role in shaping public perceptions about the quality of elections." 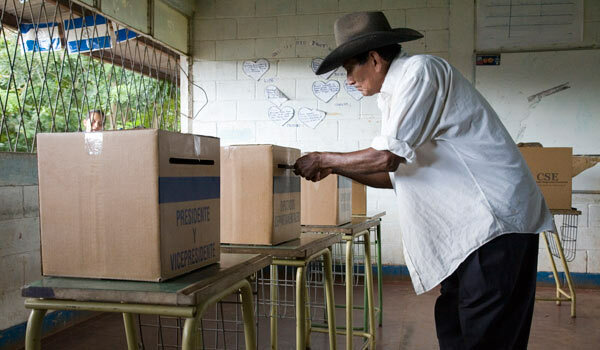 Some election missions have been integral parts of still-fragile peace accords, as in Nicaragua, the Democratic Republic of the Congo, Cote d' Ivoire, Liberia, Nepal, and Sudan. 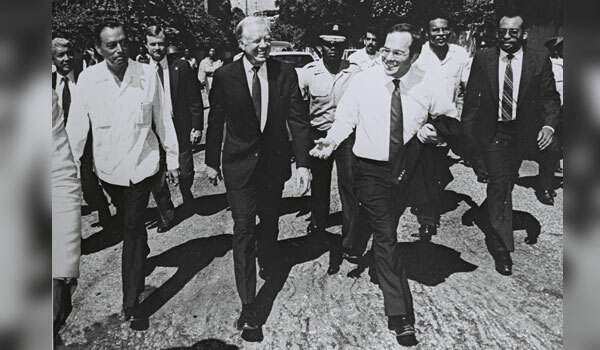 Others have taken place in countries undergoing difficult democratic transitions, such as in Panama, Haiti, Indonesia, Guinea, Tunisia, and Egypt. 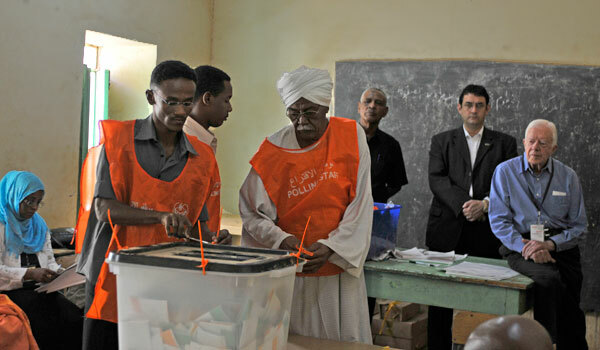 And in East Timor and Sudan, observers even witnessed the birth of new states. In nations where democratic institutions are generally weak, incumbent governments enjoy organizational advantages, and political space for new parties to develop may be lacking. 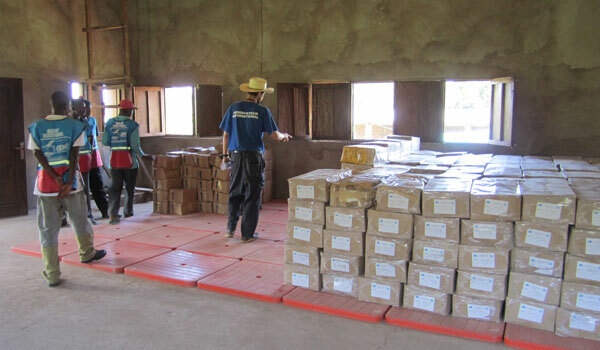 That is why many election missions now are much longer than in the early years of observation, beginning many months before voting and counting, and often continuing after an election to monitor the resolution of election disputes. Today, The Carter Center sometimes even maintains a monitoring presence in aspiring democracies long after elections as newly elected officials draft a constitution and develop public institutions to ensure transparency and citizen participation in governance. 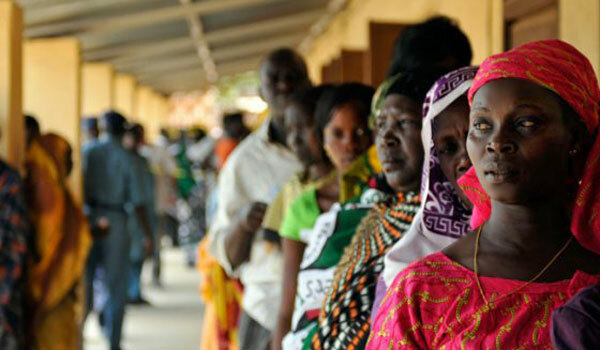 "Strengthening democracy and peace building do not come easily or quickly. 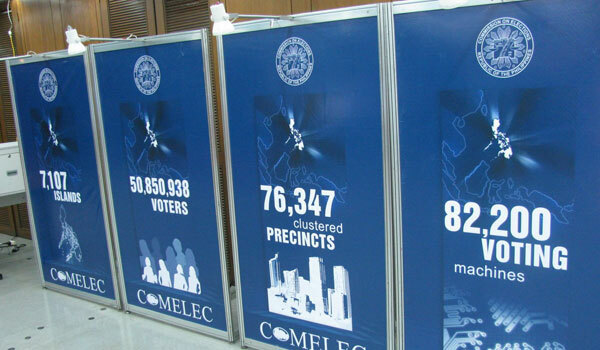 They involve much more than what happens on election day, and the length and breadth of our election observation activity at the Center has grown to reflect that," Carroll said. 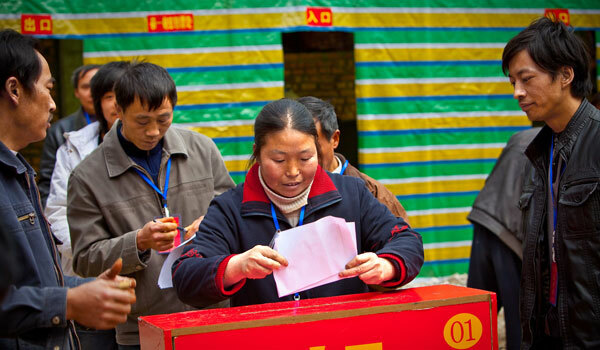 As election observation groups proliferated over the last 20 years, the Center also has been a leader in harmonizing their approaches. 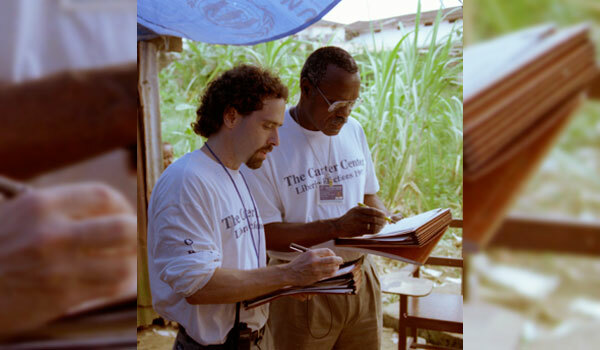 With the United Nations and the National Democratic Institute, The Carter Center in 2005 drafted principles to help guide the field practice of election observation, which have been endorsed by 37 major election monitoring organizations. Now, the Center is working with a number of organizations to build further consensus on the criteria and standards used by observers to assess elections. The Carter Center must be invited by a country's election authorities and welcomed by the major political parties to ensure it can play a meaningful, nonpartisan role. 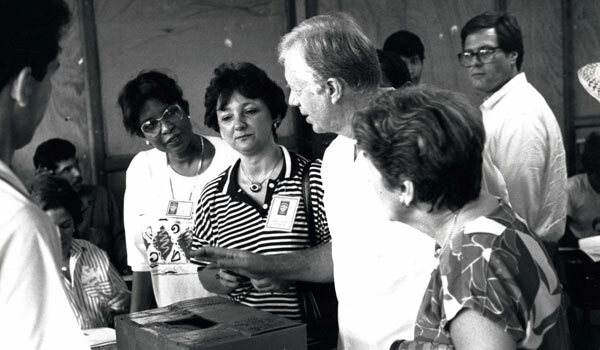 Since 1989, The Carter Center has observed 89 elections in 36 countries. 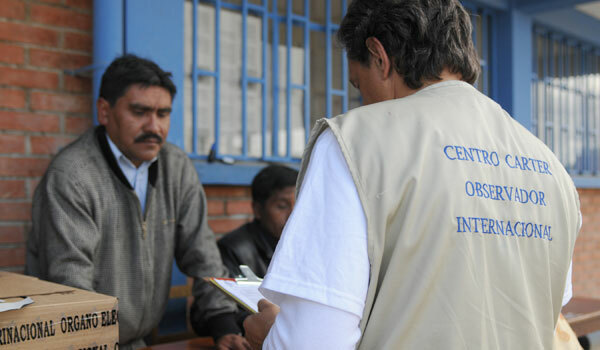 Observation missions are conducted in accordance with the Declaration of Principles for International Election Observation. 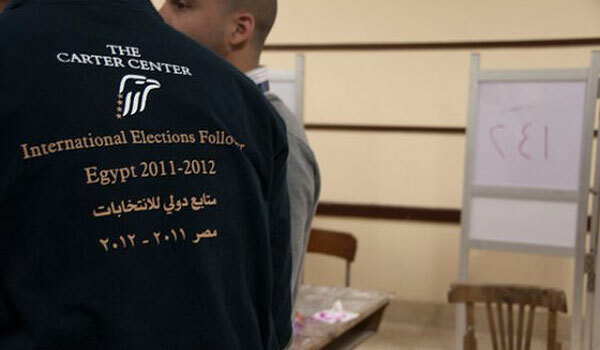 The Center, with its partners, developed a framework for observing electoral processes using e-voting technologies. 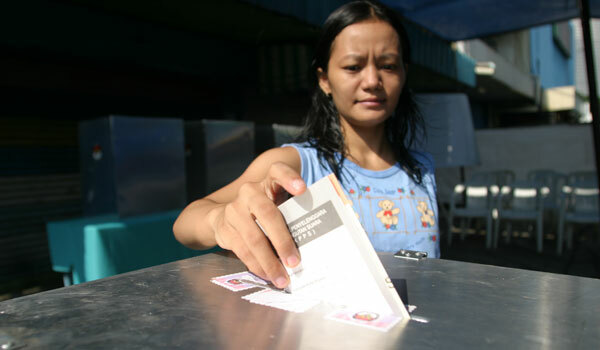 In August 2010, The Carter Center launched the Election Obligations and Standards Database, the first of its kind to consolidate more than 150 sources of international law related to human rights and elections that can be used by international and domestic election observers to assess elections.